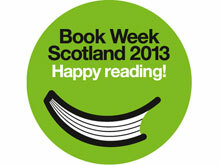 Book Week Scotland (25 November to 1 December 2013) is only in its second year, but already it is a hugely popular fixture in the literary calendar. This year over 600 events have been taking place in schools, libraries and community centres across Scotland, with author visits, competitions, book launches and art projects celebrating the joys of reading and writing. Like many authors, I’ve been having a great week visiting schools and sharing my books with lots of enthusiastic children! On Monday I travelled to Kirknewton Primary in West Lothian. I spent a brilliant day reading all my picture books to nursery and P1 children in the morning, and then more nursery and P2 children in the afternoon. They were all so well behaved and had lots of great questions for me! Kirknewton is a fantastic school and Mrs Fletcher was a very kind and thoughtful host. On Tuesday I spent the afternoon with all the lower primary pupils (P1 to P4) at Flora Stevenson Primary School in Edinburgh. It was the first time I had used high-tech sound equipment and a computer connected to a big screen, so we had a few technical hiccups at the beginning! Luckily there were expert teachers on hand and the children were very patient. Flora Stevenson has a strong emphasis on musical education, so I was asked to help inspire the children to write in verse and set their poems to music. 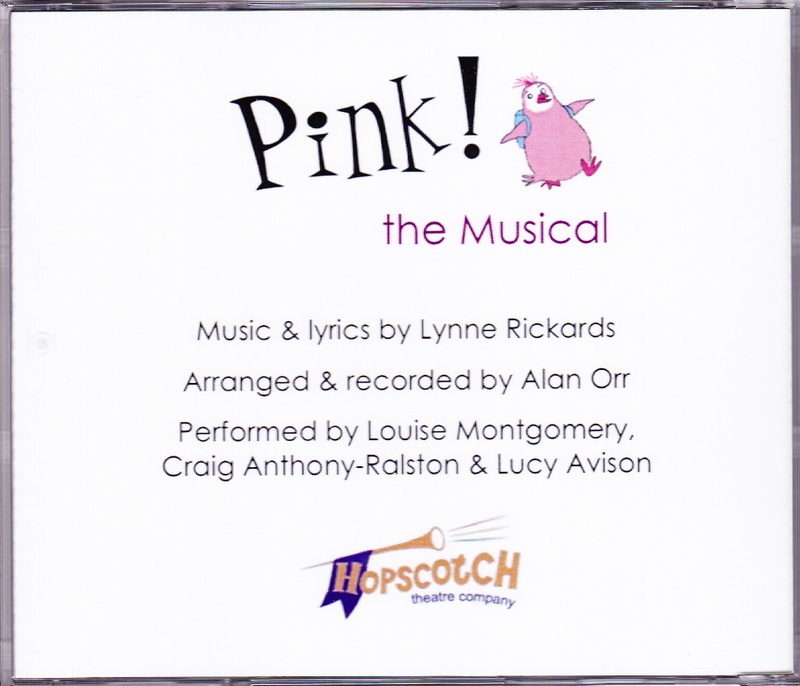 This is something I enjoy very much, so it was a great pleasure to share two of my songs from Pink! the Musical and teach them the actions for “It’s Fun to be a Penguin.” Many thanks to Mrs Broadley and Mrs Brennan for inviting me! 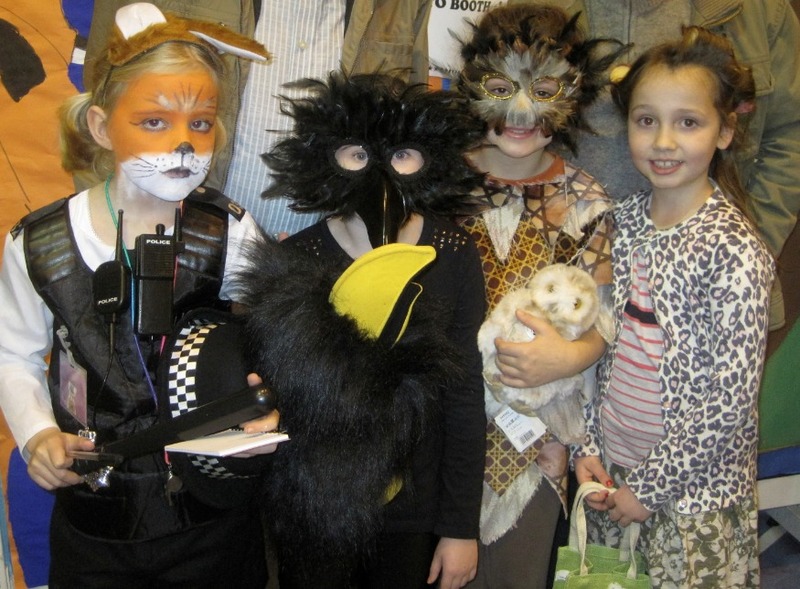 Four children from Comely Park Primary dressed as the main characters from their own books: Officer Tod, Gallus the craw, Hooley the hoolet and a little old lady. On Wednesday I took part in the P4 Big Book Bash Book Launch at Comely Park Primary in Falkirk. Comely Park is my Patron of Reading school, and I had been involved early on in the creation of two Gallus and Hooley adventures with the P4 classes. You can read more about the development of both stories, written in English and Scots and beautifully illustrated by the children, HERE. The book launch was a brilliant success, attended by parents, grandparents and friends. Chris Leslie from the Scottish Book Trust, Elaine Webster from Scottish Language Dictionaries, Yvonne Manning from Falkirk Libraries and Tony Bragg, Falkirk’s Quality Improvement Officer were all there to help celebrate the children’s achievement. My next Book Week Scotland event is a visit to Low Port Primary School in Linlithgow. I’m looking forward to meeting the P2 and P3 pupils and having a fun-filled morning talking about pink penguins, pet walruses, heroic puffins and crocodile toothaches!